The Cooper Center for Metabolism (CCM) works as a partner with both prediabetes patients and those who already have a diagnosis of type 2 diabetes. In 2005, the Center for Disease Control (CDC) labeled type 2 diabetes and prediabetes as epidemic conditions in the United States. 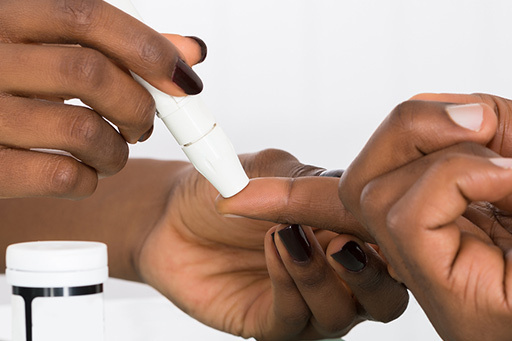 Based on decades of experience on the frontline of preventive care, Dr. Cooper believes that type 2 diabetes is preventable and that some cases of type 2 diabetes are still reversible. In her twenty five years of practice, Dr. Cooper has never had a patient develop type 2 diabetes while under her care. Scientists predict that by 2020 as many as 60% of the adult US population will be affected by either prediabetes or full-blown type 2 diabetes. At CCM, we work diligently to prevent and reduce the severity of this disease.